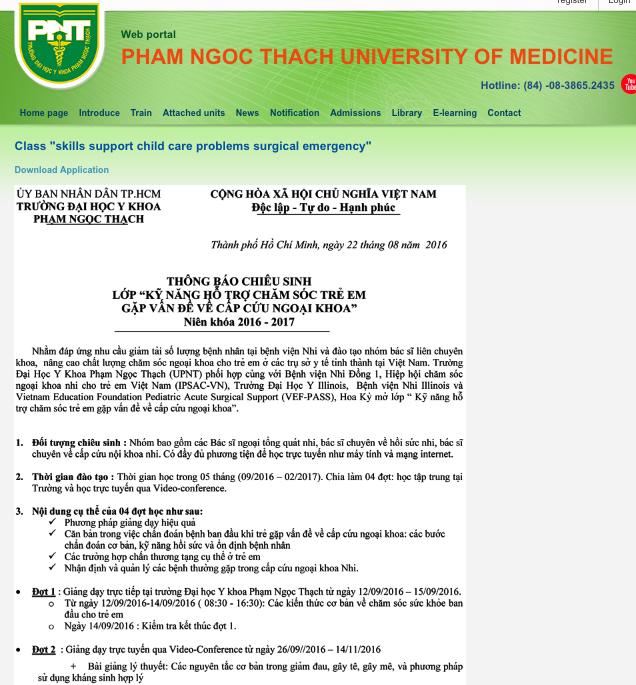 To assist our Vietnamese healthcare colleagues in enhancing the pediatric surgical capacity and increasing access to surgical care for all children of Vietnam. 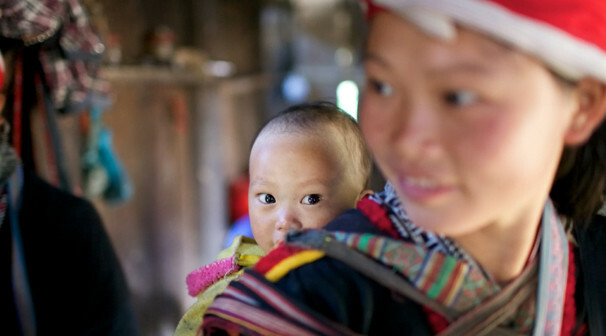 All children of Vietnam will have equal access to quality surgical care. IPSAC-Vietnam is part of a multi institutional team of faculty collaborators from the University of Illinois, Children’s Hospital of Illinois/OSF St. Francis Medical Center, and Pham Ngoc Thach (PNT) University of Medicine, Childrens Hospital #1 in Ho Chi Minh City, Vietnam to deliver the PASS: Pediatric Acute Surgical Support course. 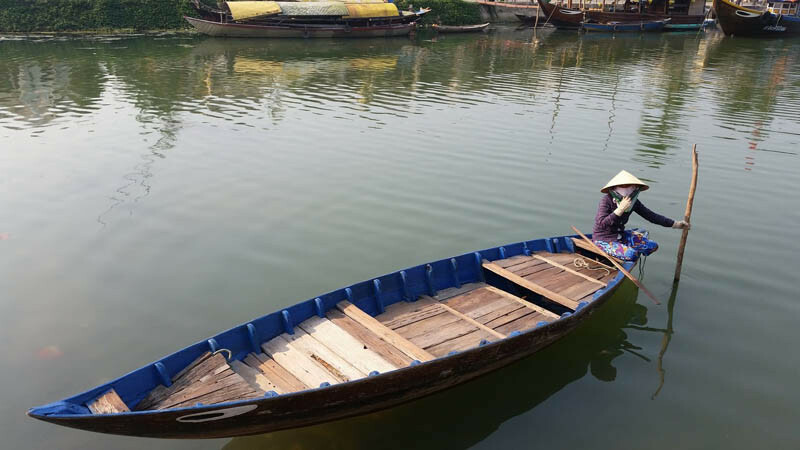 This project is made possible by the US Government: Vietnam Education Foundation Faculty Scholar Grant and is led by Dr. Ai-Xuan L. Holterman of IPSAC. The course teaches fundamentals in trauma and surgical emergency assessment, stabilization, management and transport of acutely ill infants and children. Between September 2016 and February 2017, the PASS course will be presented with 3 sessions on-site at PNT University. The curriculum is delivered using blended-learning approaches with didactic lectures, case studies, skill sessions, simulation techniques, and student debriefings. 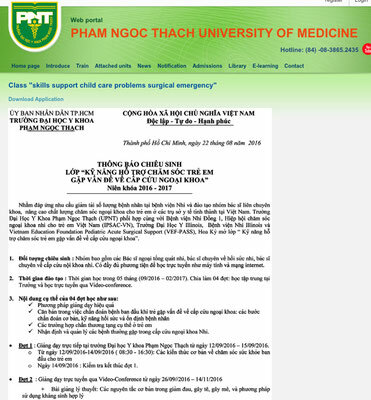 The goal is to increase the competency of health care providers from District Hospitals in Vietnam where advanced pediatric surgical specialty care is lacking, and to promote the development of an infrastructure of training and patient care for pediatric surgical emergencies. A Children’s Hospital of Illinois surgeon is one of six U.S. professors selected to teach at Vietnamese universities during the 2016-2017 academic year as part of the Vietnam Education Foundation (VEF) U.S. Faculty Scholar Program. Dr. Ai-Xuan Holterman, pediatric surgeon at Children’s Hospital of Illinois and Professor of Surgery at the University of Illinois College of Medicine at Peoria, along with a team of Children’s Hospital clinician-educators, is collaborating with Pham Ngoc Thach University of Medicine faculty in Ho Chi Minh City, Vietnam to pilot the Pediatric Acute Surgical Support (PASS) curriculum. (Dr. Girish Deshpande, Dr. Sara Krzyzaniak and clinical education nurse scholars Toufic Khairallah, APN and Ginger Barton, RN are the other members of the team). The curriculum blends lectures with case analyses, procedural skills training and simulated clinical scenarios. The focus of Dr. Holterman’s project is preparing health care personnel from facilities with limited resources to deliver a standardized initial assessment and management approach to pediatric surgical emergencies. 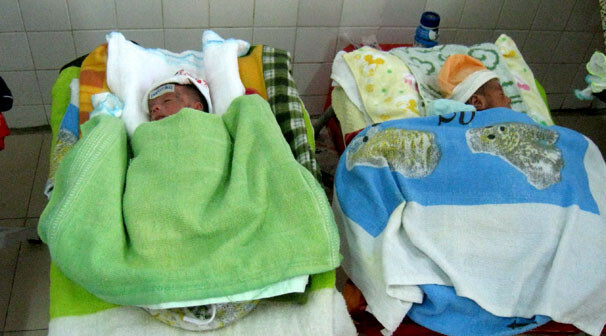 The goal is to enhance the surgical capacity of district hospitals and improve pediatric care in Vietnam. This program is pertinent to the care of patients in central Illinois, with important applications to rural communities lacking in pediatric surgical expertise. This effort is conceived as an institutional action project submitted for Dr. Holterman’s 2016 Executive Leadership in Academic Medicine (ELAM) class. ELAM is a core program of the Institute for Women's Health and Leadership at Drexel University College of Medicine in Philadelphia, PA. Established in 1995, it is a highly selective program dedicated to senior women faculty preparing for leadership roles at academic health science institutions. 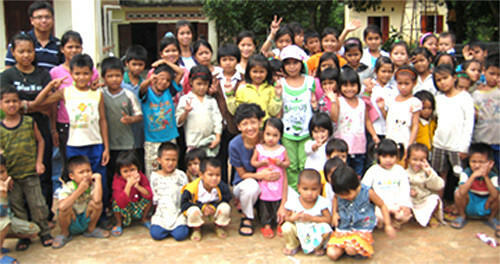 The Vietnam Education Foundation is a U.S. government agency in its fourteenth year of operation. The mission of VEF is to strengthen U.S. - Vietnam bilateral relationship through educational exchanges in the STEMM (Science, Technology, Engineering, Mathematics, and Medicine) fields. 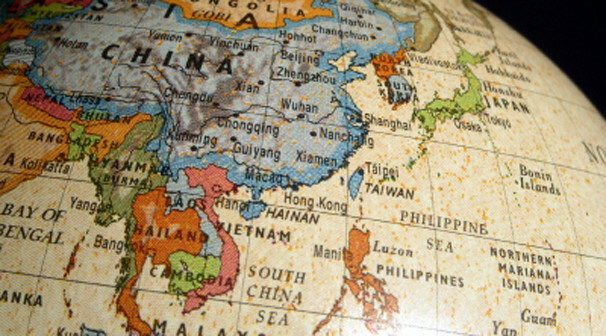 The VEF carries out its mission by providing opportunities for Vietnamese nationals to pursue graduate and post-graduate studies in these fields in the United States, and for American citizens to teach in the same fields of study in Vietnam. More information on VEF can be found at www.vef.gov. IPSAC-VN is pleased to sponsor Children’s Surgery International, a 501c3 NGO based in Minneapolis, Minnesota with a primary focus is in providing clinical services in cleft lip and palate repair and pediatric urology to the underserved children. 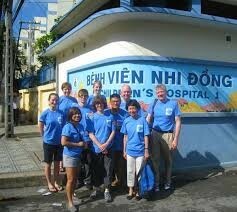 This sponsorship will extend one of IPSAC-VN mission to increase the children of Vietnam access to surgical care. The partnership is made possible through IPSAC-VN 2005-2007 Memorandum of Understanding with the Thanh Hoa Children’s Hospital at the province of Thanh Hoa where CSI will deliver biyearly service visits to Thanh Hoa with IPSAC support. Our Upcoming Blogs - stay tuned ! 501C CERTIFIED: The organizations described in 501(c)(3) are commonly referred to under the general heading of "charitable organizations."